Jose Mourinho’s first season at Old Trafford ushered in a difficult spell for Anthony Martial, but the winger has put that firmly behind him with a brilliant start to the current campaign. The Frenchman has five goals and four assists in all competitions despite starting just four games because of competition with Marcus Rashford. 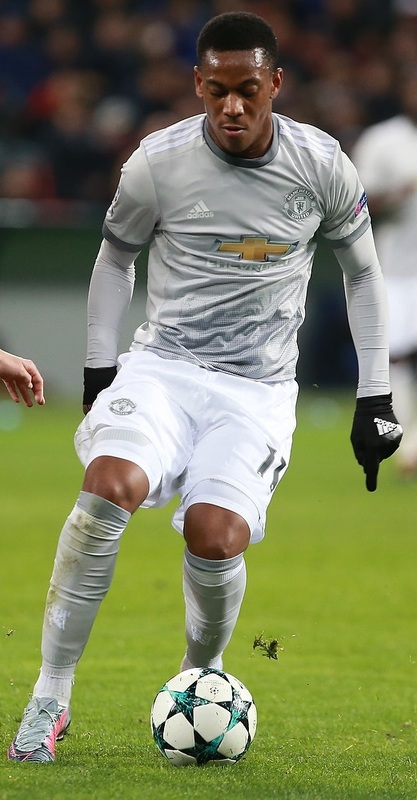 When Mourinho initially moved Rashford – who was introduced into the first team as a striker – out wide, it looked to be a hammer blow to Martial’s future in the north-west. Indeed, that was coupled with problems off the pitch for the 21-year-old, who struggled to settle in England following his move from Monaco in 2015. According to Diario Gol, Barcelona are still interested in offering him a regular first team place. If that interest becomes concrete, then United may use it to persuade the Blaugrana to part with Ivan Rakitic. The Croatian international would be expected to leave the Nou Camp if Ernesto Valverde finally succeeded in signing long-term club target Marco Verratti; PSG will do their best to ensure that doesn’t happen, yet they do need to cash in on some players in order to comply with Financial Fair Play regulations. Mourinho is keen to add more experience to his side and sees Rakitic, 29, as an ideal fit thanks to his tactical awareness. It’s possible that Barca are only hopeful of signing Martial because they are particularly short of options following Ousmane Dembele’s injury, and the former Borussia Dortmund starlet will be back in action within the next three to four months.